Okay, who in there right mind would organized back-to-back-to-back-to-back softball games with no breaks? That's right, 4 softball games in a row! With no time for lunch! How the heck am I supposed to go blog about a team meal when there is none? Ludicrous! Oh and it gets even better... Try playing 4 games in a row on what has got to be the hottest day of the year so far. Fine, if that is how it's gonna be, so be it. I'm not letting this stop me from blogging about something! So after picking up Boss Woman, I was planning on stopping by Ba Le for some Banh Mi. Yup, it is the breakfast of champions and for today, the lunch of champions as well. But as I was pulling up to a spot right in front of the Lion's Den across the street, I noticed another place where I could get some Banh Mi. A blogging opportunity! They can try to stop me by denying me of a lunch break; however, I will persevere and overcome. 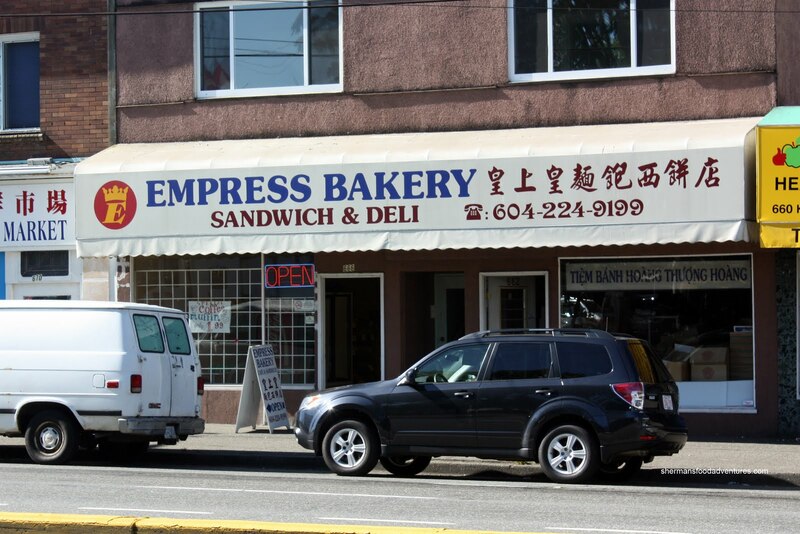 So off I jaywalked across Kingsway to try out Empress Bakery. Just like the time I had to precariously cross Kingsway in order to reach Tung Hing, this was like a game of Frogger (think Seinfeld). The things I do for food. 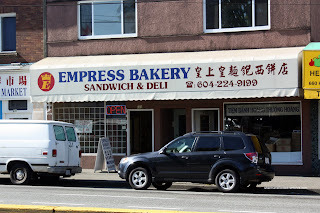 So Empress Bakery, like the name implies is really a bakery and Banh Mi are somewhat of an afterthought. In fact, there is only one type available, being the standard cold cut. Pricewise, it is quite inexpensive at $2.75. 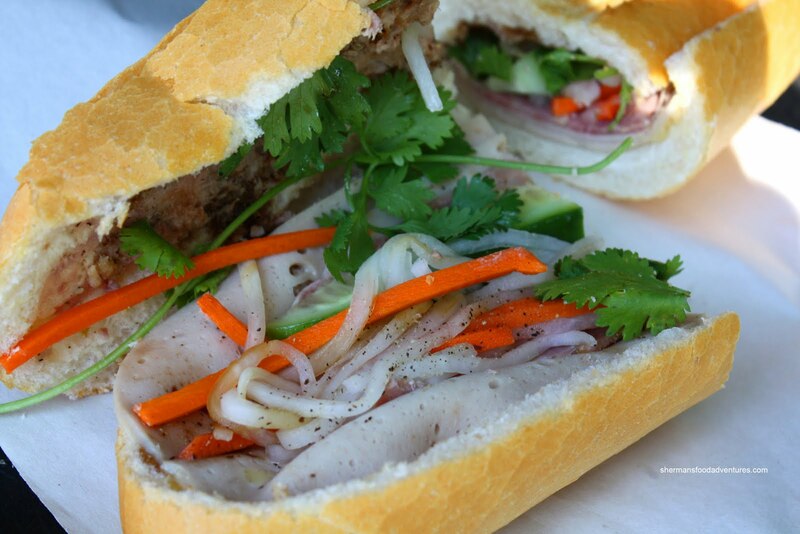 If the bread in the picture looks familiar, they used to supply Ba Le (prior to them getting their own oven). Thus, the bread is crunchy outside and airy inside. 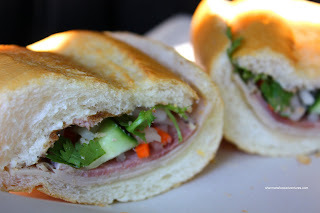 I liked their Banh Mi, good amount of pate and the pickled daikon/carrots had a lot of zing. Combine that with a good amount of fish sauce and this was quite flavourful. Not bad... Not bad at all.